Twin demands of office and home can sap your energy. If you feel run down often, here are simple things you can perhaps do to re-energise yourselves. 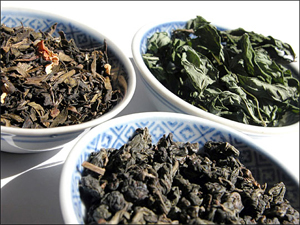 Green or black, tea leaves spell health. But if the leaves are brown, it means it has lost some of its healing potential. A nice pot of tea can be a soothing anytime of the day. But more importantly, extensive research indicates tea can prevent debilitating diseases like cancers, stroke and heart attack. Well known for medicinal properties, green tea is powered with polyphenols, an anti-oxidant compund. The most potent anti-oxidant ever discovered is epigallocatechin gallate (EGCG). It has been proven that it is 25 times more powerful than Vitamin E at protecting DNA from the damage that causes cancer. In China, studies indicate how drinking green tea regularly is linked to lower rates of intestinal cancer. It blocks the enzymes that promote tumor growth. This beverage also prevents blood from clotting, thereby protecting against heart attack and in reducing LDL or “bad” cholesterol. Studies also state that drinking at least two cups of green tea daily cuts the risk of heart attack and stroke by half! It also provides a quick and refreshing burst of energy and boosts immunity. This is because tea helps body to metabolise fat faster, providing it with more energy and immunity. Today, a wide range of teas are available with fruity flavours and enticing aromas. Select your favourite and make it ritual that is essential for your well-being. While many are aware of the benefits of organic food and are switching to a chemical-free lifestyle, what is often overlooked is the use of soap. Regular soaps, irrespective of fancy packaging, are nothing more than basic detergents. Often, many unhealthy chemicals are found to populate commercial soaps—such as aluminium, formaldehyde, glycol, synthetic colorants and synthetic fragrances. Continual use of chemical loaded products leads to storage of chemicals in the body fat. With enough build-up of toxins in the body, illnesses and lethargy can occur. Switching to natural soaps can be a refreshing change. Look out for soaps made of ingredients found in naturally occurring botanical oils such as palm, coconut, olive oil and jojoba and other natural products such as oatmeal and almond as these do not strip the skin of its essential oils. Add fibre rich fruits like bananas, apples and oranges to your diet and experience an energy boost. Dieticians recommend two to five cups of fruit a day. It can be sliced and coupled with other foods such as plain yoghurt, oatmeal and cereal. Not only fruits are fresh foods, but they draw you closer to your ideal weight as fibre is more filling and energising. If you’re tired of the same kind of fruit salad, select different fruits such as prunes, off-season mangoes and plums. According to the Journal of the American Dietetic Association, those who consumed fruit were healthier and had more energy to see them through the day. Pectin found in apples besides strawberries and citrus fruits are known to lower blood cholesterol levels. Researchers and chemists in a recent meeting of the American Chemical Society established that whole grains like cereals, pulses and popcorn have more to offer than just their fibre content, as they too are rich in polyphenols. Breakfast cereals, oatmeal, brown rice, pasta, whole wheat bread and crackers, are all good sources of whole grains. Regular intake of whole grains keep you feeling fresh and invigorated due to natural detoxification. If you find yourself getting headaches frequently or prone to dizziness, lack of concentration and general tiredness, it could be a simple problem of dehydration. When your body is dehydrated, nerve transmission is compromised and brain function strongly diminished. Dehydration has a particularly damaging effect on the immune system, putting you at risk to many illnesses ranging from urinary tract infection to heat stroke. It is best to keep drinking water in small spurts, even when not thirsty. If you are unable to meditate the conventional way, putting yourself in close proximity to Nature can help you de-stress and relax. The technique used is simple—just inhale deeply, allow your muscles to relax and slow down your thoughts while admiring a carpet of green or a butterfly hovering over a flower. Incorporating a green atmosphere in your office can be deeply relaxing and studies have established that it increases productivity and reduces blood pressure as well. These simple changes will allow you to focus on a healthy lifestyle and peace of mind. Tagged as: Green or black, tea leaves spell health.